Visit the Southern Home website. 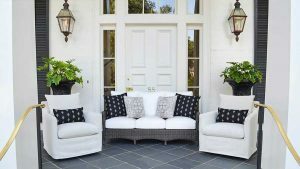 Southern Home is a family-owned business located in Mobile, Alabama. For over 25 years they’ve been designing and making transitional, comfortable, high-quality outdoor furniture. You’ll love the amazing quality and the choices in material, finish and fabric. Southern Home prides itself on quickly shipping your order, no long wait time! Let’s customize outdoor furniture that’s perfect for your space.